What can be better than a fishtail braid? 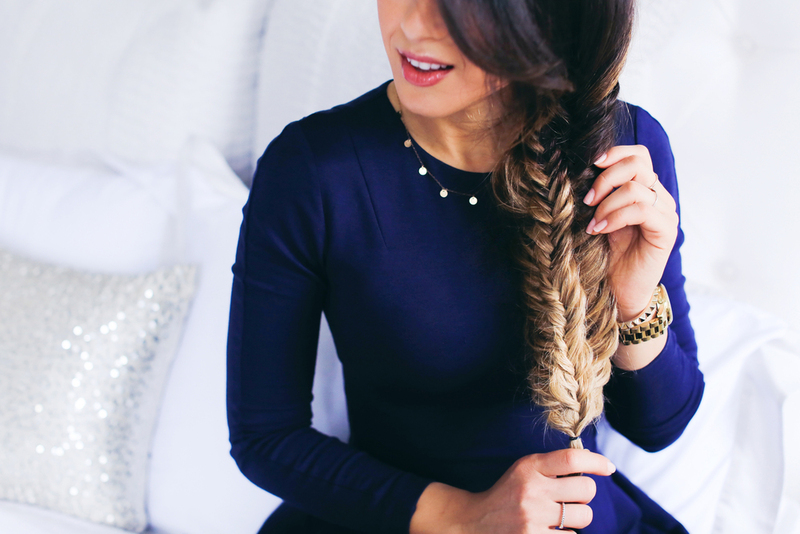 A double fishtail braid! Haha! Although the Double Fishtail Braid looks super cool and intricate, it's actually quite easy to recreate. I have added my Ombre Blonde Luxy Hair Extensions for thickness and length. Without them my braid just doesn't look the same. Oh, and I want to quickly wish you a Happy New Year! May this new year be a start of a new happier, healthier, more harmonious journey for you. Did you make any new year's resolutions? Do share.